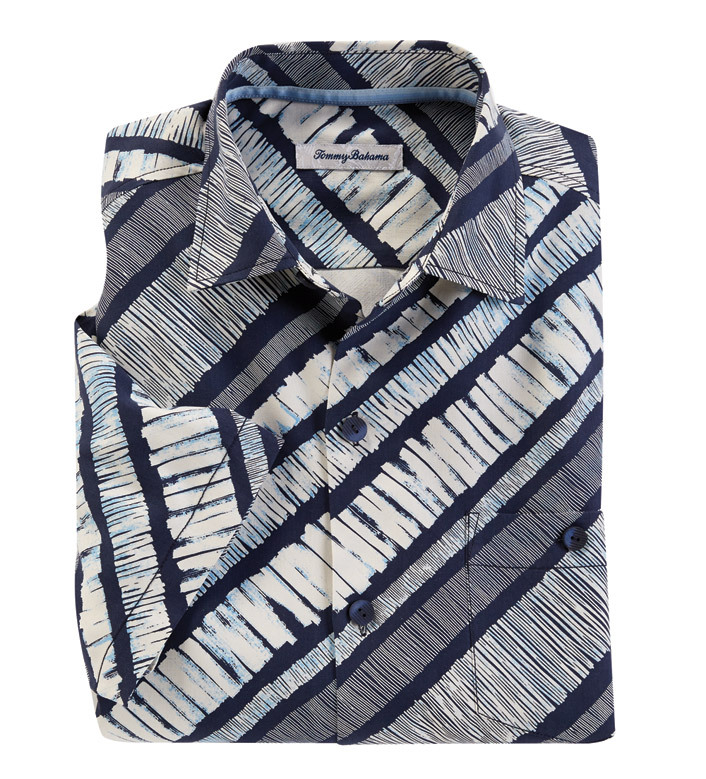 Artful, diagonal stripes printed on soft, finest quality 100% silk. Short sleeves, spread collar, button-through chest pocket, straight hem with side vents. Machine wash. Imported.